To answer your lifting and rigging requirements, Keble’s Trading carries the premium range of first rate-quality lifting and rigging components of Titan brand. We supply forged and cast alloy steel Titan clutches from shortening clutch non-locking to concrete clutches from the scope of size from 6mm to 16mm and with the WLL capacity from 1.1 to 8 to meet your lifting needs. 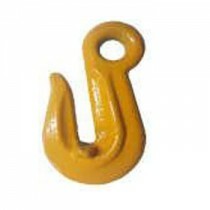 Our extensive selection of clevis hooks from clevis grab hook narrow to clevis safety sling hook in a range of size from 6mm to 20mm with WLL capacity from 1.1 to 12.5 that are individually proof tested and are all test certified are perfect for your lifting application. 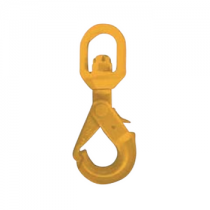 In stock, as well, is our scope of eye hooks from eye grab hook narrow to Eye Swivel Safety Hook with Latch with Bearing in sizes from 6mm to 18/20mm with WLL capacity from 1.1 to 12.8 that will cater to your lifting applications. 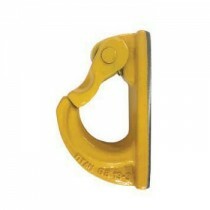 We have in stock our extensive lineup of Titan Grade 80 weld on and chain connectors items from weld on hook that comes with forged latch, to weld on lifting point is ideal to use as an anchor point for load restraint applications, with WLL capacity from 1 to 15, that are ideal for your lifting preferences. As chain connectors provide fast, easy assembly without the need for special tools, in stock are Titan chain connector and AMG chain connectors with a range of size from 6mm to 32mm with WLL capacity from 1.1 to 31.5 that are sure to effectively serve their purpose for your next lifting projects. 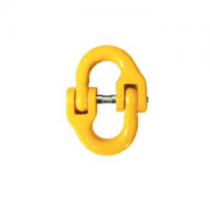 To complete our Titan Grade 80 range are selection of lifting components that are essential for your lifting and rigging needs. Keble’s Trading supplies Grade 80 links from multi-oblong link to large oblong link from the scope of size from 8mm to 20mm with WLL capacity from 2.6 to 21.6 that come with flat sections on intermediate links. 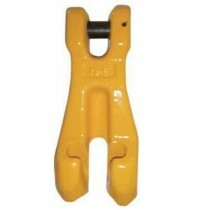 We also have in stock Titan G80 container lug left & right type that has a WLL capacity of 12.5 and are suitable for lifting containers with twist lock pockets. 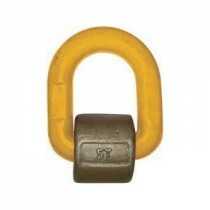 And a vital component for your lifting application is our Titan G80 Lifting Chain that is available in 6mm to 13mm with WLL capacity of 1.1 to 5.3 that is perfect for your lifting project. Keble’s Trading’s Titan Grade 80 products are fatigue tested at 1.5 x WLL for 20000 cycles and have a 100% Magnaflux crack detection that are in yellow powder plastified finish for that distinct look. Our Titan Grade 80 products are manufactured in compliance with Australian and international quality standard AS3776/ EN1677 and are individually proof tested and supplied with test certificates that will surely give you that security-confidence on your lifting or rigging projects. Turn to Keble’s Trading for reliable-grade TITAN GRADE 80 RANGE. Talk to us! We speak your language! We understand your business. Call us at 1-800-067-687 or fill out the contact us form below. No inquiry is too large or too small. We would love to be of service to you today!